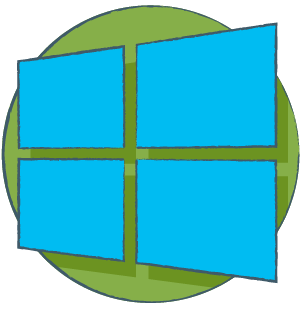 Enable direct access to Windows PC screens with installed vViewer software. Securely access Windows PCs from your Google Chrome or Opera browser or from mobile devices using the vViewer App. To do a report, you need to be logged in. We have sent you an email, please check your email in order to activate your account. User created successfully! Please check your email to confirm your registration. Your password has been succesfully changed, please log in with this new password. Your account has been created successfully. Please check your inbox and validate your registration by pressing the REGISTER button. An email with instructions to change your password has been succsessfully sent. Dear client, your information has been received. One of our team members will be in contact with you shortly. Your invite has been sent succesfully! vViewer's powerful security features ensure no one else will ever be able to access your data. Connect any device. Share anything in private. We will make sure it stays that way. you need Windows version 8 or higher. please first download and install vViewer. Please enter the screen id or broadcast id given to you for this connection. Your browser does not support WebRTC technologies. Please use the lastest version of Chrome Opera or Maxthon browser. Share your vision. Create, communicate & engage. Connect an unlimited number of devices on any platform and share files in no time. Or share your screen and invite participants to view it. Powerful security means your data stays completely private at all times. Add value to your customers. Assist, support, chat, share. Instantly view and remotely control another device, anywhere in the world. Virtual connections, real results. Keep your business moving with awesome virtual meetings powered by vViewer’s advanced video conferencing and sharing features. Save valuable time. Instantly connect to another device without downloading or installing software. vViewer is designed for maximum simplicity and ease of use, allowing anyone to connect within seconds. vViewer utilises end-to-end 256 Bit AES encryption for maximum security. Unlike other remote desktop solutions, vViewer connections are peer-to-peer meaning data is transmitted directly between systems. Your data is never stored anywhere, keeping your communications completely private and anonymous at all times. vViewer is compatible with all different operating systems and platforms. vViewer runs on the most recent operating systems as well as older systems and devices, so you’ll never have a problem making a connection. Choose what you want to share. Manage multiple monitors or only stream specific areas of your screen. Control sound & voice inputs, chat, share files or communicate via webcam while sharing your screen. Automatic intelligent connection setup results in high framerates and optimal resolution of up to Ultra HD 4K. vViewer is designed to be highly intuitive to use. We have done our best to simplify the way you connect with the world. We take care of the technical details underneath while the user interface has been created to be as simple and straightforward as possible. One click and you’re ready to connect. MailFailed to send, try again later.